This is a sponsored post, but all opinions expressed are my own and not influenced in any way. According to consumer research conducted by Philips, 31% of women complain about dry hair, 41% say pollution causes hair damaged, and 40% report problems with hair loss. 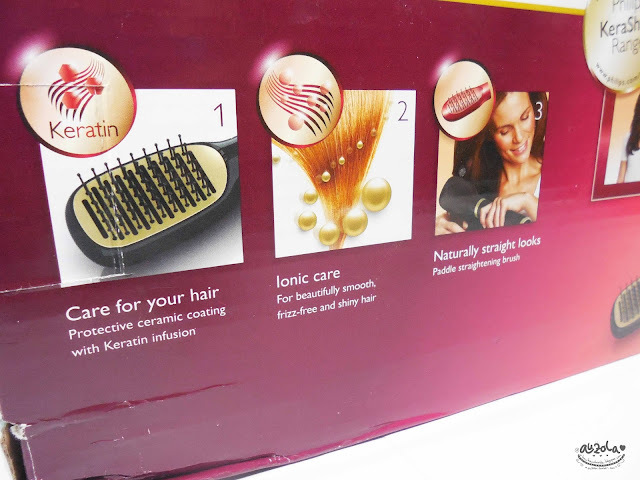 The solution to their hair woes may lie in a simple protein called keratin. 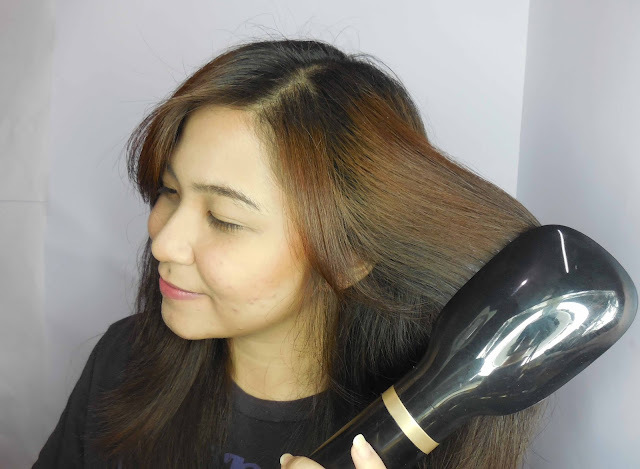 As Indonesian women increasingly embrace international fashion trends, many want to experiment with new looks including trying out various hair styling method such as coloring, straightening, and other styling methods that may result in hair becoming dull, unhealthy, broken, dry dan falling hair. Based on the above, Philips launches Philips KeraShine range which includes three products to suit women’s every styling need: KeraShine Straightener, KeraShine AirStyler, KeraShine Hairdryer! Well, what makes them different? 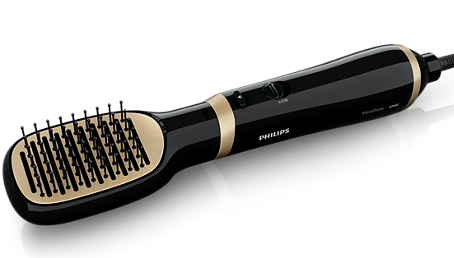 Especially the Air Styler one (because that's what i'm going to review today!). First, the tool itself it's different than any other, it's somewhat a hairdryer but it had the comb head like. 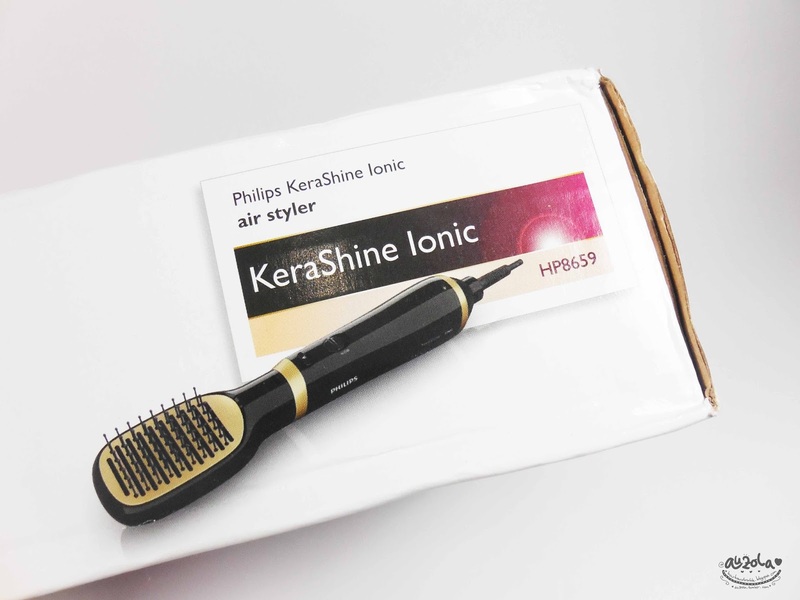 With the innovative paddle straightening brush you can create beautiful naturally straight looking hair, without causing any damage to the hair! 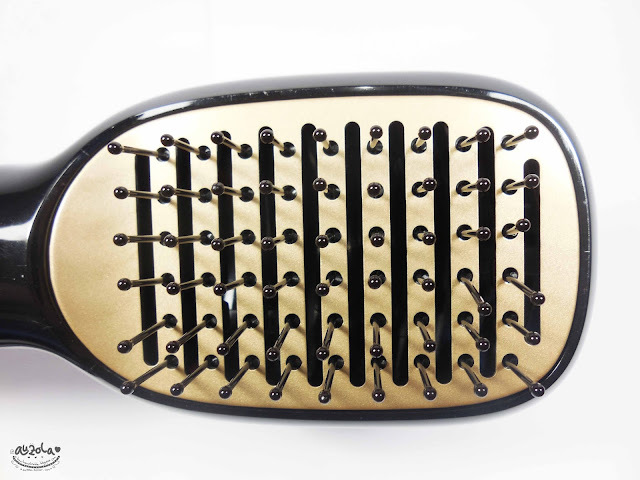 Then the ThermoProtect temperature provides the optimal drying temperature and gives additional protection from overheating the hair. With the same powerful airflow, you will get the best results in a caring way. So is it as good as it claims? Let's check the full review now! So the packaging itself is really simple and nice. 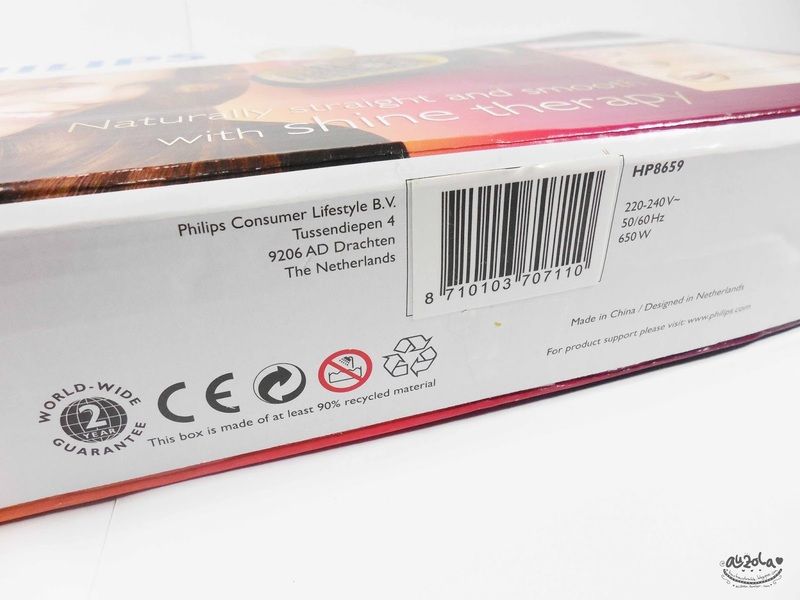 The packaging is also informative with most of the important info stated there. 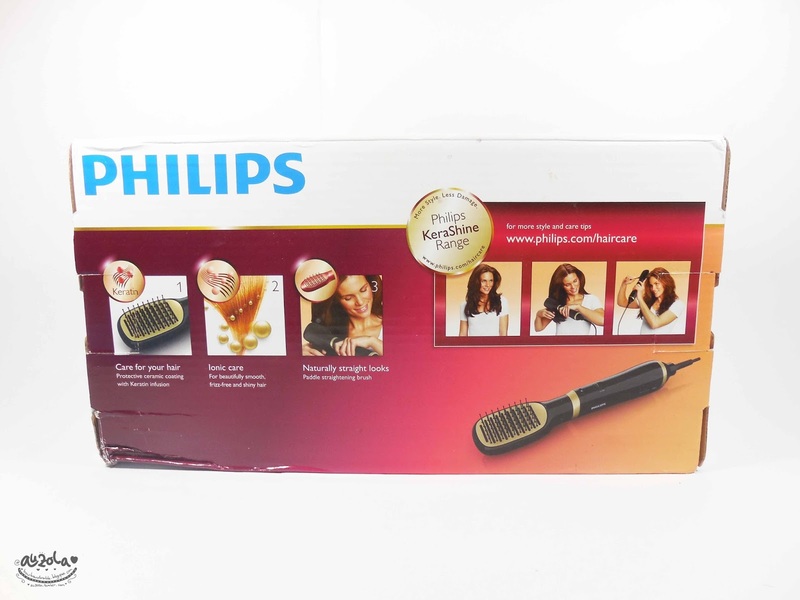 The size is also quite small, so it'll not take too much space if you want to store the air styler back inside the box. 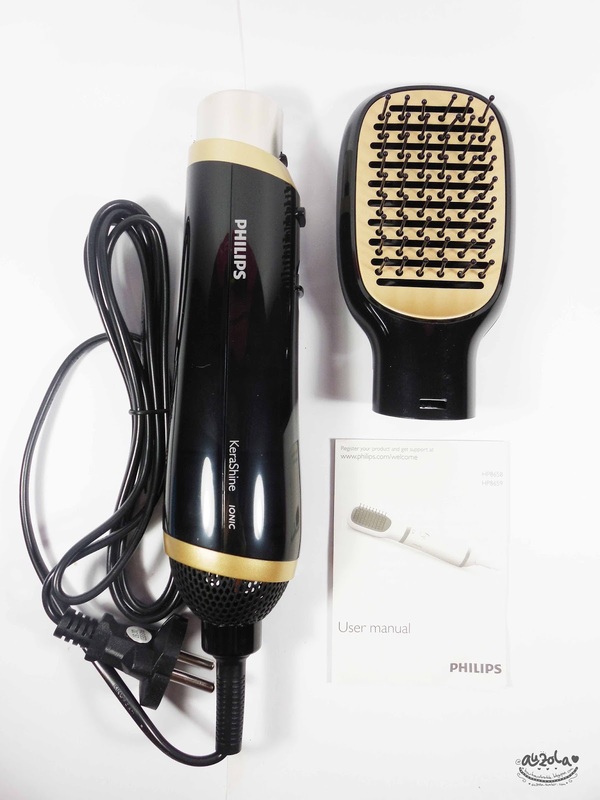 And here's the Air Styler! 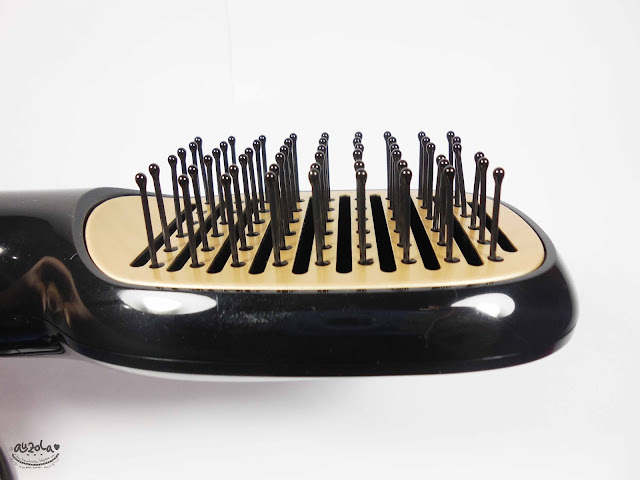 As you can see, the paddle straightening brush can be removed. So it'll be quite easy to clean the brush without disturbing the machine part. 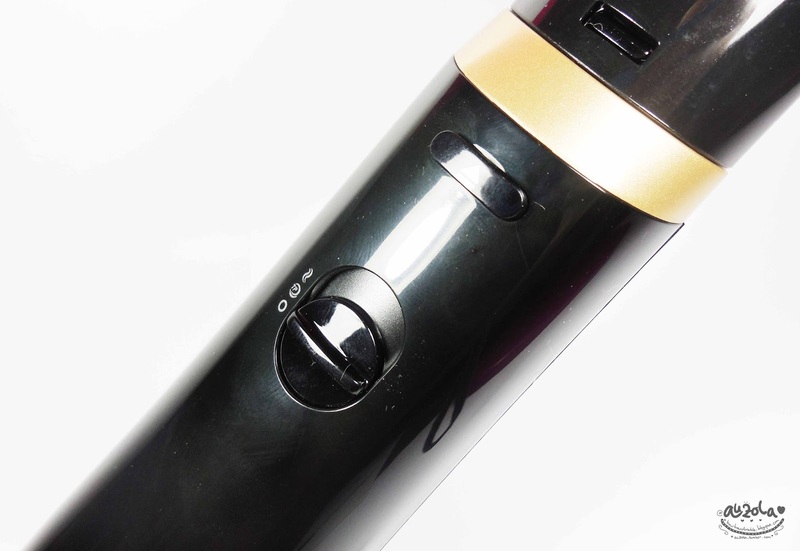 It has two head and speed that can be adjust to your need. The Philips Air Styler is ready to use! Well, i should say that i loooovveee this! Why? Because im a totally lazy person! Hahahhaa. If you watch the video, you can see how fast my hair dry and looks pretty! I only need less than 10minutes to achieve this pretty styled straight hair (as you can see the video, even though i fast forward the video ofc, but the whole video without editing is only about 13minutes). The first picture is only towel dried (a.k.a still wet but not too dripping). 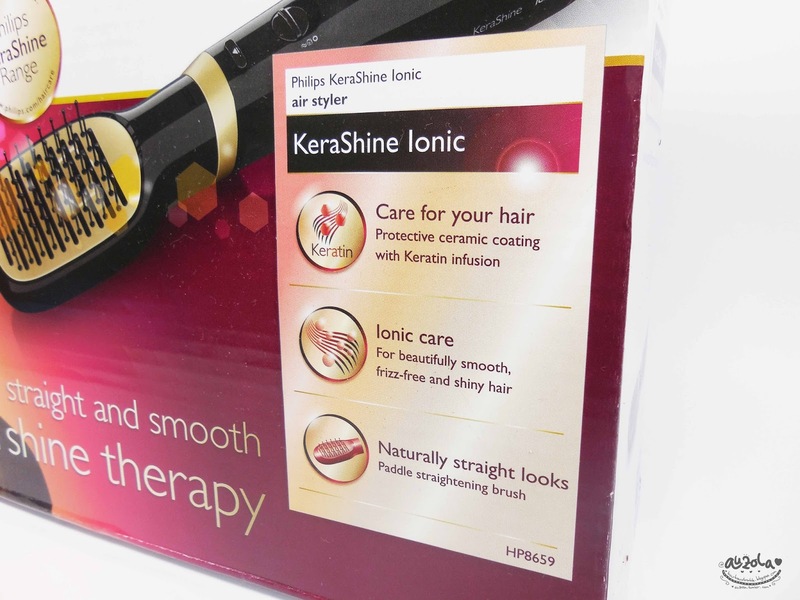 The second picture is when i already use KeraShine Air Styler for the right part of the hair (as in the picture 'right'). 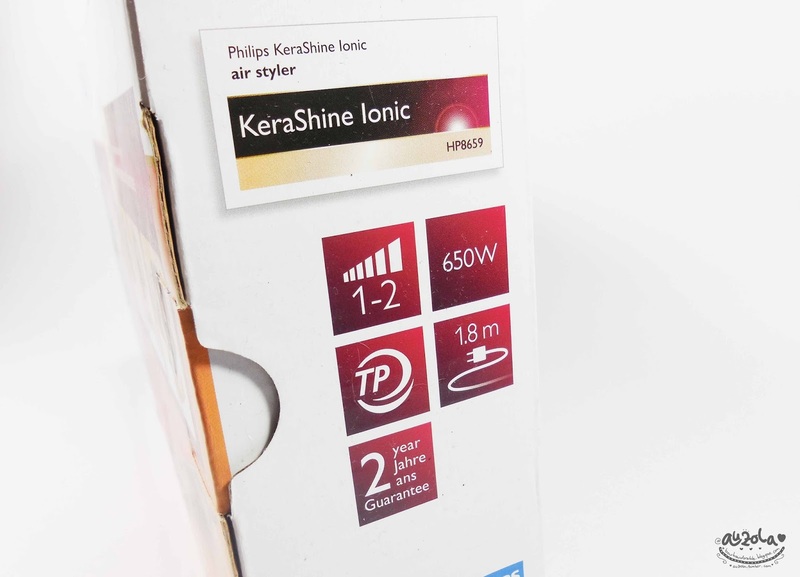 The last one is when fully dried with KeraShine Air Styler. 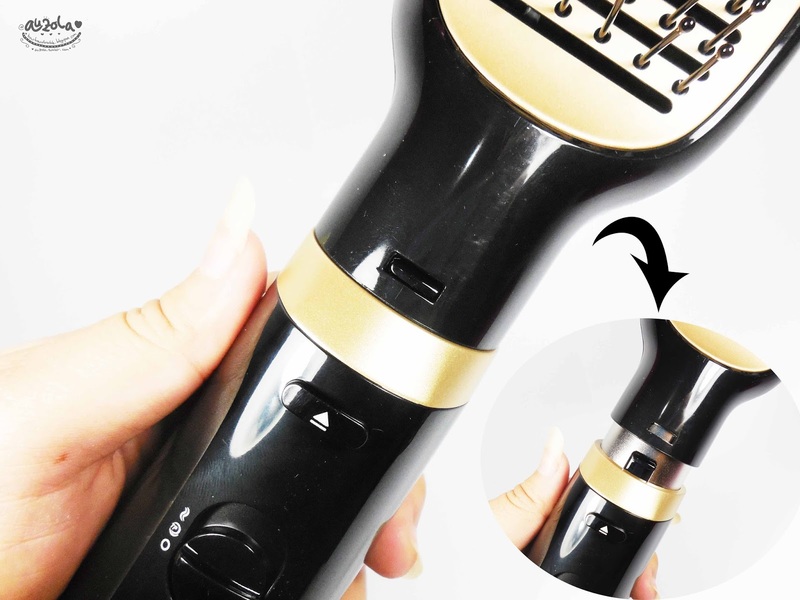 I normally would be too lazy to use a hair dryer and prefer going out with my wet hair, let alone using a curling iron or straightener hahhaha. Well, even though like that, to tell you the truth i kinda hate my hair after a natural air dried because it looks messy as hell and ugly. But because im too lazy and prefer to use my time to do something else, i have to accept the result of my air dried hair. Thank God for this tool! 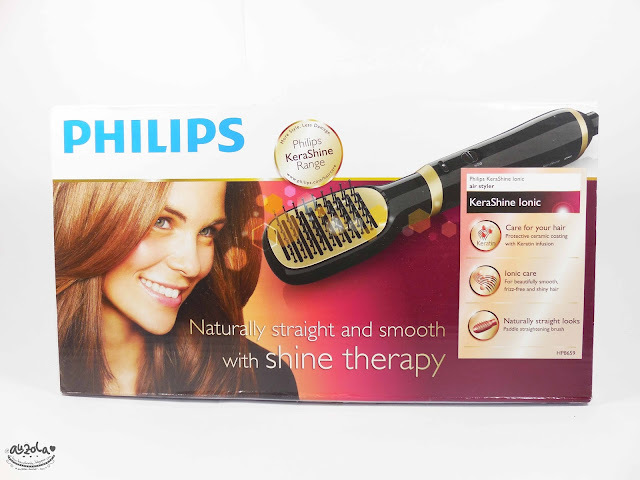 I totally in love with the Air Styler since i first use it (been using it for a few times now and then). Other than it makes my hair looks tidy and less frizz, it also makes my hair looks fuller dont you think? Plus, it's super easy to use and real quick! Amazing! 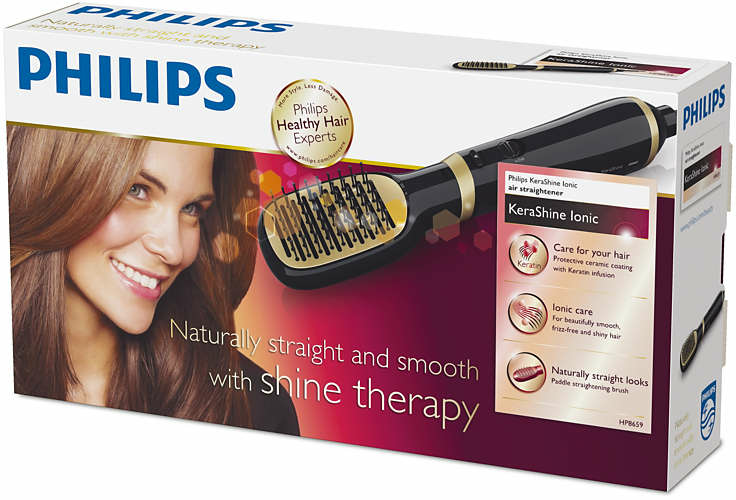 That's the best word to describe this Philips KeraShine Air Styler. It's simple, easy and quick to use. The result is good! A natural straight looking hair, with less damage, less frizz, fuller hair and tidy hair in less than 10minutes! What's not to love? Hehehe. I totally recommended this Philips KeraShine Air Styler, especially you who don't have much time everyday, or you just too lazy. Because this tool works nicely and fast! Pssst, it's on sale at Lazada for only IDR 375k! Go grab it fast, it's a good deal! UPDATE: up until now (august 2018), my philips air styler is still in a very good condition and perfect, loveee! I guess that's all my review for now, if you have any question don't hesitate to ask me! See you guys on my next post! Tahan berapa lama ya rapinya?